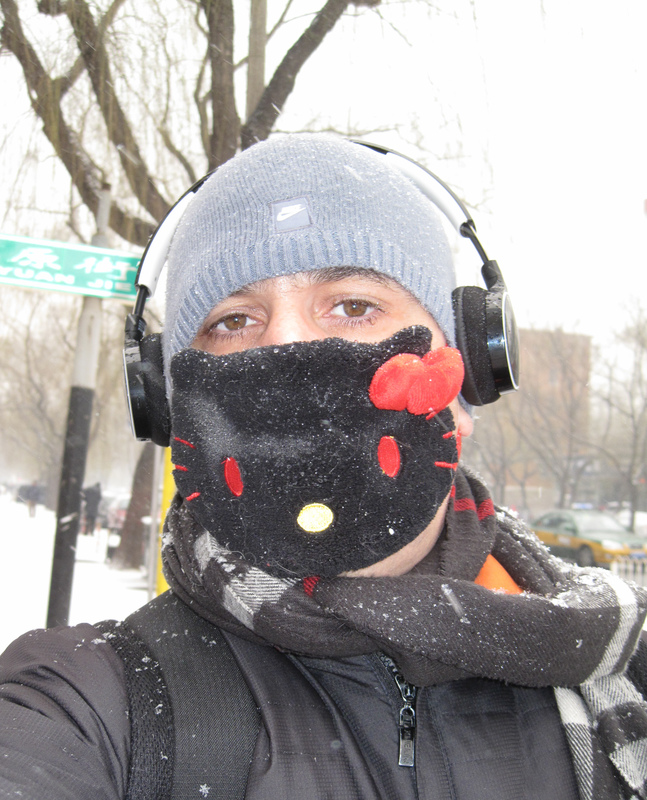 Many years ago, right about when I started traveling to Beijing, I remember seeing a magazine with some guys (Japanese, perhaps) wearing Hello Kitty face masks. I think it was mainly about the longevity of this character, which has existed since 1974. In any event, in recent times, I’ve had the urge to get one… a black one. Somehow, wearing a white Hello Kitty mask just didn’t seem right. After months of pestering my wife to order one for me, she (against her better judgement) did so. Today, with the snow falling and cold wind blowing, I thought it would be an ideal time to break it out. I must say that it certainly made a difference against the cold. Today turned out to be one of the few “white-out” days we’ve had this winter, with the AQI currently at 327. I mean, the air so brown with coal dust and other sediment that I was glad when the sun set so I didn’t need to look into it. The nice thing about wearing the mask is that I didn’t smell the coal until I took the mask off just before entering my apartment build.